This Tuesday, December 10th, 2013, the US House of Representatives Energy and Commerce Subcommittee (a division of the Commerce, Manufacturing and Trade Committee), will convene again to discuss the topic of online poker. Online poker has been the topic of a half dozen or so hearings in recent years, generally connected to legislation on the topic offered by US representatives or senators. Tuesday’s hearing, titled “The State of Online Gaming,” is the second time that this specific subcommittee has taken up the topic. 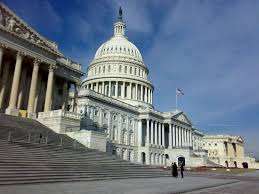 Like the first instance, the hearing is in conjunction with legislation brought up by one of the subcommittee’s members, Rep. Joe Barton (R-TX), whose H.R.2666, the Internet Poker Freedom Act of 2013, remains up for consideration despite neither it nor its predecessors having received a vote. If there’s anything significant about this latest iteration, which like earlier hearings will be nonbinding and is not intended to produce a resolution, is that it boasts the most significant collection of testifying witnesses, both for and against online gambling, that’s been collected to date. According to PPA prez Pappas, in a story at PokerNews, the hearing represents the most prominent clash to date of the conflicting views on the topic. Pappas and AGA CEO Freeman will be testifying in favor of Barton’s proposal (and of online gambling in general), while Abboud, Bernal and Volberg are known to be opponents of any form of online gaming, regulated or not. Eggert is the wild card, a previous Congressional witness who is likely to argue, similar to earlier testimony, that if online gambling is regulated, then stiff consumer protections must be put in place. Bernal’s Stop Predatory Gambling Organization is a right-wing, strongly religion-based coalition similar to such groups as the anathemic Focus on the Family, while Volberg is a self-styled anti-gambling researcher who figured prominently in recent public discussions of casino building in Massachusetts, her home state. It’s Las Vegas Sands veep Abboud, however, who may contribute some of the hearing’s biggest fireworks, since he appears to be the designated mouthpiece here of LVSands CEO Sheldon Adelson and Adelson’s efforts to block rival forms of gambling to Adelson’s own land-based casino empire, which include the recent establishing of the Stop Internet Gambling site and group. That site is Adelson’s specific directive, but it’s funded by LV Sands Corp. Given that the AGA CEO, Freeman, will be arguing for regulatory legislation, while Abboud, arguing on behalf of a prominent AGA member group, Las Vegas Sands, is a fact that won’t be lost on anyone. Most neutral observers are likely to look at both the casino and lobbying execs and call it a wash, dismissing them as arguing purely with their pocketbooks, one for and one against. That doesn’t mean that some interesting quotes won’t emerge from the hearing, however; quite the opposite is true — there may be some significant fireworks before the hearing wraps. The larger question, which none of the hearing’s participants will attest to, is the possibility that none of it matters. Though the growth of state-regulated online gambling remains very slow, it has established a toehold without any need to involve federal regulation at all. Even if a bill such as Barton’s passed, it may be irrelevant and could even be deemed unconstitutional, if it attempted to obstruct or tax in gambling matters, which have traditionally been an area of state and tribal rights. Whether it’s another show pony or not, the hearing may be worth a look. Tuesday’s hearing starts at 12:30 pm ET (or shortly thereafter) and will be available via podcast on the house.gov site.